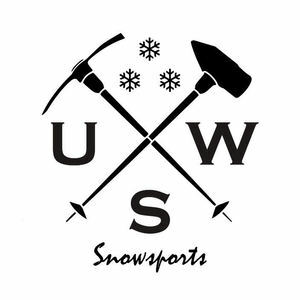 USW Snowsports was established in 2010 and has been encouraging skiers, snowboarders and those keen to get involved to come together. Whether at the dry slope, at a social or on our annual trip USW students can meet likeminded individuals, great friends for life and the help they might need to progress their snow sport hobby. Working with such great sponsors we are able to provide students with discounts, giveaways and taster sessions at the dry slope. The society boasts an incredible alumnus who are able to support the club by advising current committee or through their professions. University of South Wales caters for such a variety of degrees bolstering our societies as some of the most diverse among would-be creatives, intellectuals and carers. Our group annually migrates to the Alps for the fresh snow, French DJs and the food only found 2000 meters above sea level. In 2018 we took 40 members for a week in Les Arcs 1800. They participated (by choice) to challenge their skiing and their livers, not only did the committee do an amazing job planning this trip but our tour operator, Wasteland ski, paired us up with some incredible reps who showed us all the best restaurants, bars and clubs. Our group offers all the love and support you would find from a family so if you're interested but can't convince your friends to accompany you, fret not, we are always happy to see a friendly face. For more information about the trip check our Instagram, Facebook or twitter for updates and prices. We compete in a nationwide dry slope tournament called Kings. At these events, UK based universities pitch up marquees, turn the bass up, clink plastic cups and prepare to race slalom on their preferred snow sport. Our society offers two teams to represent your University, a ski team and a board team. Working bi-weekly (once every 2 weeks) with you guys at the dry slope, we will help perfect your carving so you can spend less time carving the dry slope and more time carving your beverages. Our bi-weekly meet up at the dry slope lets us socialise and take on professional lessons, if not to learn but for recreational use grab yourself a pair of skis or board at a discounted rate. A recreational day (Sundays) is also available for students to challenge their freestyle also at a discounted price. Feel free to speak to any member of the committee to participate. To try out for the team, speak to your committee and your ability will be tested at any recreational dry slope day. Rewards for winning Kings include, but are not limited to; prosecco, hip flasks, Kings T-Shirt (in your preferred size), bragging rights and sick trophies. Socialising is a major part of university, so why not try it with people who can relate to a love of fresh pow, pints and cold weather. Working with night clubs, recreational centres, shops and events Snow sports is able to offer you a discounted to free price. We host our own events and house parties by utilising our connections to well known local DJs and sponsors. If drinking is not your thing, don't worry, a number of socials are planned with you in mind too. Interested in seeing what all the fun is about, sign-up to be a member today or trial out a social by contacting a committee member today. Membership includes; a guaranteed spot on our trip, invites to all social events and dry slope days, as well as access to our wide range of discount codes, vouchers and giveaways we will be hosting throughout the year. Membership is a one-time payment of £10 for the year, all members, including committee must renew their memberships each year.